an advanced way to help manage and keep track of what's important for your department. The new portal allows your citizens and contractors to apply for various permits online through configurable forms and gives them the ability to view current permits in the community. They can also upload code enforcement issues which in turn allows you to qualify it as a case or request more information. Businesses can apply for their licenses online, and citizens can also view what licenses are up to date in the community. Utilize searchable GIS. This interactive map allows the public to visually locate and identify property and permit information. 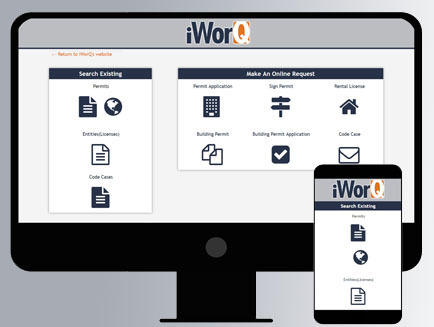 iWorQ's new portal modernizes communication, boosts citizen and contractor engagement, and optimizes the workflow process for all parties involved. 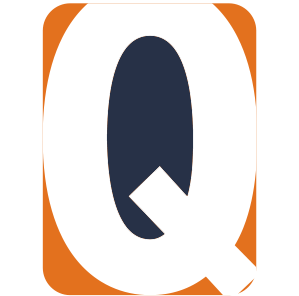 iWorQ's eco-friendly solution helps eliminate paper as well as clutter. The digital platform makes it simple to find what you are looking for while improving efficiency across your department. The portal was created with positive user experience in mind, and the interface is highly configurable to meet each agency's unique operational needs. Reach out to your account representative or our sales department today for an interactive demonstration on our new Public Portal!